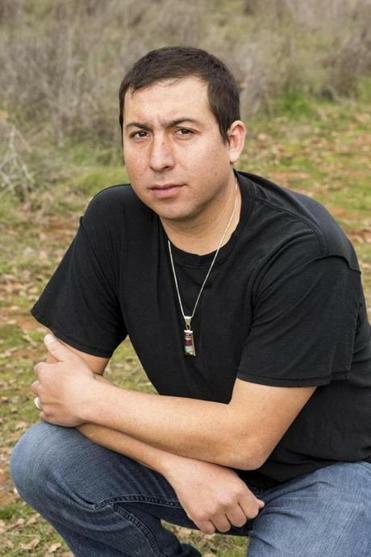 Tommy Orange’s debut novel, the best-selling and critically acclaimed “There, There,” is set in his hometown, Oakland, Calif., and tells the stories of a dozen characters, all of whom are headed for a fateful powwow. Orange, a member of the Cheyenne and Arapaho tribes, received an MFA for the Institute of American Indian Arts, where he now teaches. He will speak at 7 p.m. on Thursday, Oct. 25 at the Inly School in Scituate. Tickets are $10 for admission or $30, which also includes a copy of the book. BOOKS: What was the last book that sucked you in? ORANGE: Jesmyn Ward’s “Sing, Unburied, Sing” and one called “A Place For Us” by Fatima Farheen Mirza. I’m also into Rachel Cusk’s trilogy. I’m just finishing the second one, “Transit.” Her books are like an abstracted conversation, which makes it seem like the most boring thing ever, but she manages to keep good pacing. BOOKS: What else are you reading? ORANGE: I just finished Pam Houston’s new essay collection, “Deep Creek,” which I loved. I got an advance reader of “Lost Children Archive” by Valeria Luiselli. I’m rereading Ocean Vuong’s “Night Sky With Exit Wounds,” a poetry book. I finished and loved “America is Not the Heart” by Elaine Castillo and “Fruit of the Drunken Tree” by Ingrid Rojas Contreras. She has a powerful voice. I got into a lot of South American writers, like Julio Cortázar, Jorge Luis Borges, and then Roberto Bolaño. This has been a rebirth of reading year for me. I had been in a slump. BOOKS: How does a reading slump affect you? ORANGE: I get sad. I came to reading really late. I got obsessed with it once I realized how much I loved reading. BOOKS: Why did you come to reading late? ORANGE: A lot of the books they assigned in high school did not interest me. I didn’t care about grades so I wasn’t forcing myself to read them. Also the years I might have fallen in love with books is when my family fell apart, and I was never told I was particularly smart. I was good at sports, so I was encouraged that way. BOOKS: Did you have books in your house? ORANGE: We were raised evangelical Christian so you can guess which books we had. I was afraid that the end of the world was coming so I would read “Revelations” to look for signs of what was going on in the world. That was the book I read the most just because I was terrified. BOOKS: How did you become a reader? BOOKS: How would you describe your taste then? ORANGE: I wasn’t reading any Native American fiction. I dipped a toe into reservation stuff and felt isolated by it because I had a different background. So I avoided that and a lot of American fiction. I read South American literature. I hate to admit this, but I read mostly men for a long time. You are missing a central piece of humanity if you only read men. Now I read about 90 percent women and have been for the past couple of years. Clarice Lispector has been one of the most important writers for me. “The Hour of the Star” is my favorite of her books. BOOKS: Are there Native American writers you wish were better known? ORANGE: Everyone I love is pretty well known, but Layli Long Soldier put out an amazing poetry collection, “Whereas,” last year that more people should know about. And Tommy Pico put out great poetry collections in the last three years: “Junk,” “Nature Poem,” and “IRL.” I didn’t understand poetry so I didn’t read it until the past three years. I’ve made a concerted effort. I still don’t understand poetry, but I have found that I can still love it.